The Yellow Fairy Book (ed. Andrew Lang) was called up from the closed stacks. 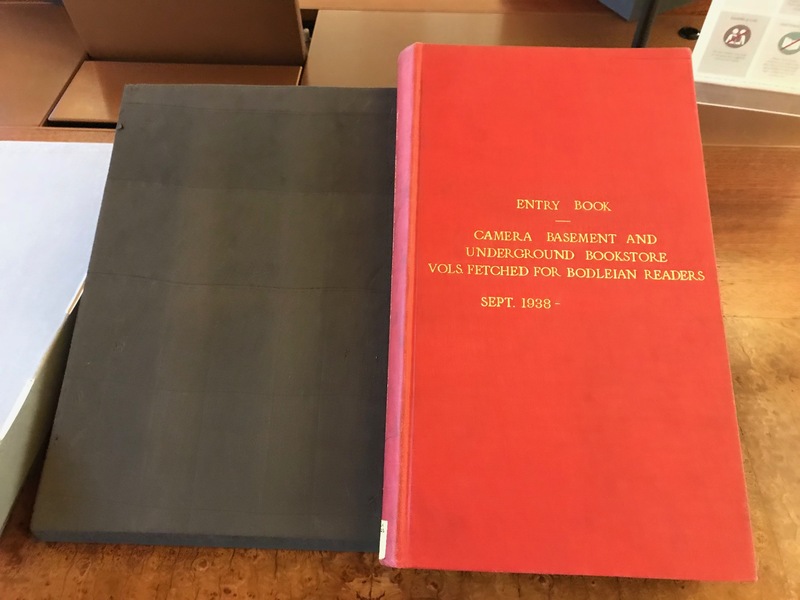 This was not interesting in itself (although it is a first edition and has a nice cover) until we opened up the book and saw that the last borrower had left their slip in there. That’s right- the J.R.R. Tolkien used this very book! The book mustn’t have been touched for several decades and so the slip has remained in place. I contacted the Bodleian’s Tolkien Archivist, Catherine McIlwaine, who was able to confirm this. 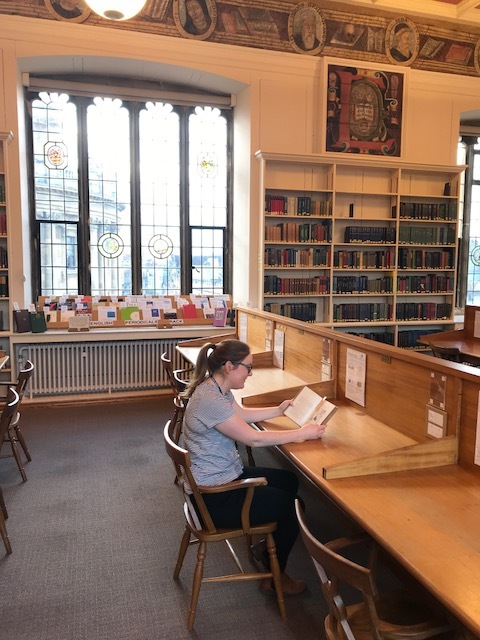 She explained that Tolkien looked at the book ahead of giving his famous Andrew Lang lecture at the University of St Andrews on 8th March 1939. The lecture was published as an essay entitled ‘On Fairy Tales’ in Essays Presented to Charles Williams, alongside contributions by contemporary academics such as C. S. Lewis and Dorothy L Sayers who also went on to have literary success. 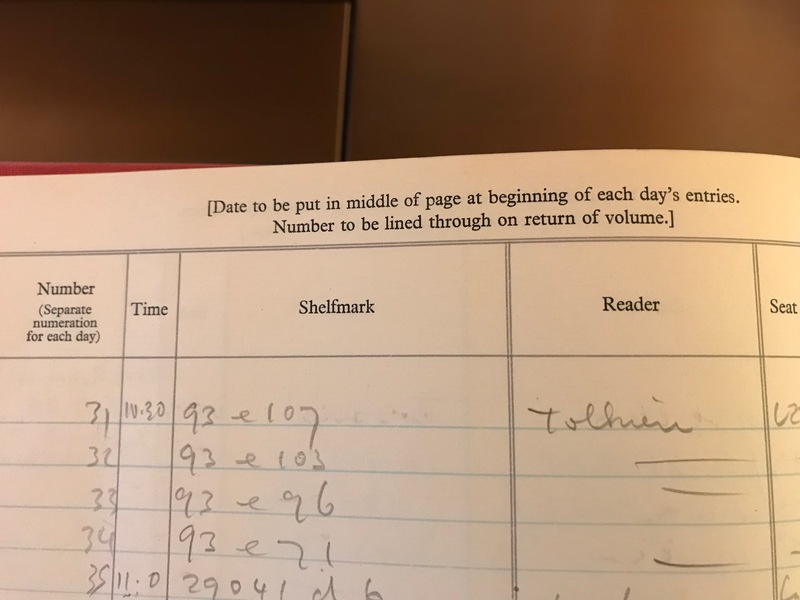 Library records show that Tolkien consulted the book, among others, on the 27th February 1939. He was obviously working hard, preparing for the lecture, just ten days prior to delivering it (this makes me feel less guilty about all those essays hastily put together days before they were due!). MS. Library Records b. 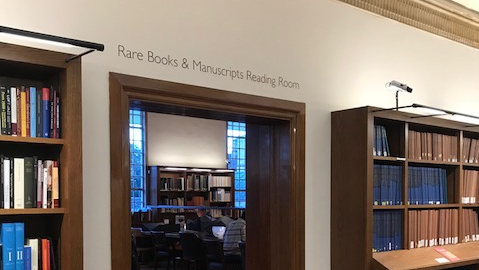 618 ‘Camera Basement and Underground Bookstore Volumes fetched for Bodleian Readers’ & the inside of the book where you can see Tolkien’s name was recorded. The shelf mark ‘93 e.71’ is ‘The Yellow Fairy Book’. 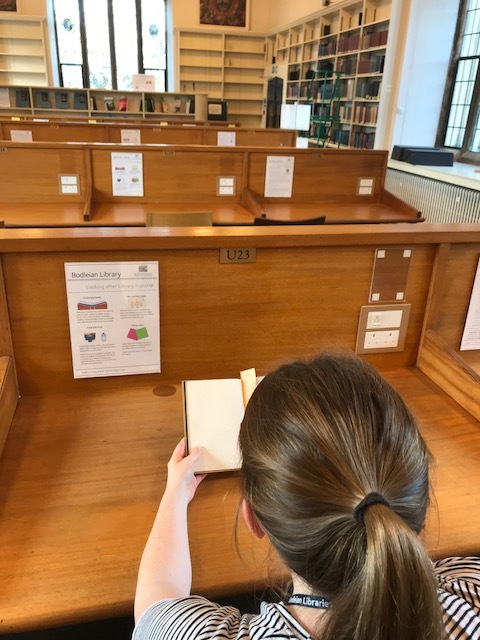 The librarians recorded number of items requested each day, the time each book was requested, the shelf mark of the book, name of the reader and the seat number where they were sitting. Books were then fetched and delivered to the desk. I checked on our catalogue to see what items the shelf marks referred to. As well as for use in his upcoming lecture, the stories in these books would no doubt have inspired Tolkien with his own fiction. 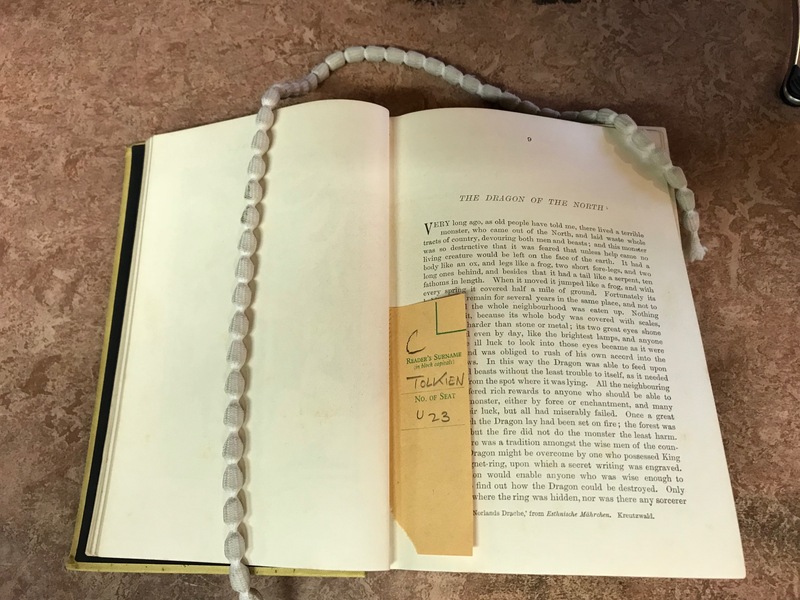 The slip we found was left in the book at the beginning of The Dragon of the North a story about a courageous youth who defeats a man-eating dragon. He manages this feat with a magic ring, stolen from a witch maiden. Amongst many of its powers, if placed on the third finger of the left hand, it turns the wearer invisible. In the end, the ring is too powerful, and the youth learns that ‘ill-gotten gains never prosper’ when the witch retrieves the ring and punishes him for his deception. There is a eucatastrophe- the term Tolkien coined to describe happy endings in Fairy Tales- as the youth is rescued and made king. Here’s me, sitting in seat 23 in the Upper Reading Room, pretending to be Tolkien! It was pretty thrilling to open up the book and find the Tolkien slip; and interesting to trace his steps and see what other books he used, during the period when he would have been writing Lord of the Rings. It makes him feel more real, somehow, to know that he used the library just like us! It also makes me excited for the upcoming exhibition, curated by Catherine McIlwaine, entitled Tolkien: Beyond Middle Earth which will open at the Weston Library in June 2018. This blog post has come at an opportune time for my MA Thesis on Tolkien, Keats and Faery! Thank you for sharing this information. Cannot wait for the highly anticipated exhibition! What a lovely discovery, and good detective work. If I was curious in helping/furthering the research you’ve done in the above blog post, would it be possible with a Bodleian Reader Card? Also, on visiting the Bodleian, would it be possible to potentially meet with you to discuss this research further? How interesting. We hope we get to hear about any more exciting discoveries! Will- I do apologise for my reply being so late. I have just returned to work from the Christmas break. Absolutely, I would be happy to meet you to discuss further. Please email reader.services@bodleian.ox.ac.uk and we can discuss the arrangements re a Bodleian Reader Card etc.